This stunning men's infinity knot wedding band ring from Apples of Gold Jewelry is a lovely band to give to him on your special day to remind him that your love for him will remain strong for eternity. 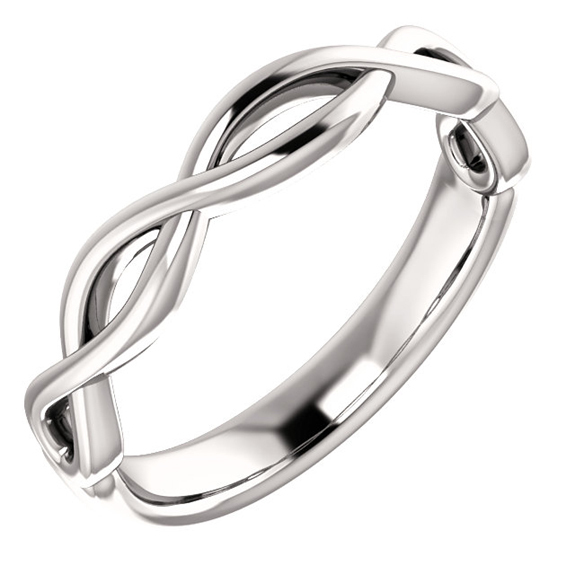 The looping infinity symbol that wraps around the sides and front of the band will remind him of your love. The ring is crafted in 14K white gold, and is sure to make a style statement that will look great with anything you choose to wear. The ring measures 3.59mm in width. We guarantee our Men's Infinity Knot Wedding Band Ring to be high quality, authentic jewelry, as described above.